Scarabée is part of a series of sculptures inspired by nature. The cabinet’s unique, decidedly convex shape makes it ideal for placement next to a sofa or a desk table. Rather than designing the piece to be viewed solely from the front, the sides and back are intended to be viewed in the round. Although conceived as bar furniture, the piece can be customized to meet the client’s needs, becoming a bookshelf or a furniture piece that holds a TV screen or Hi-Fi system. 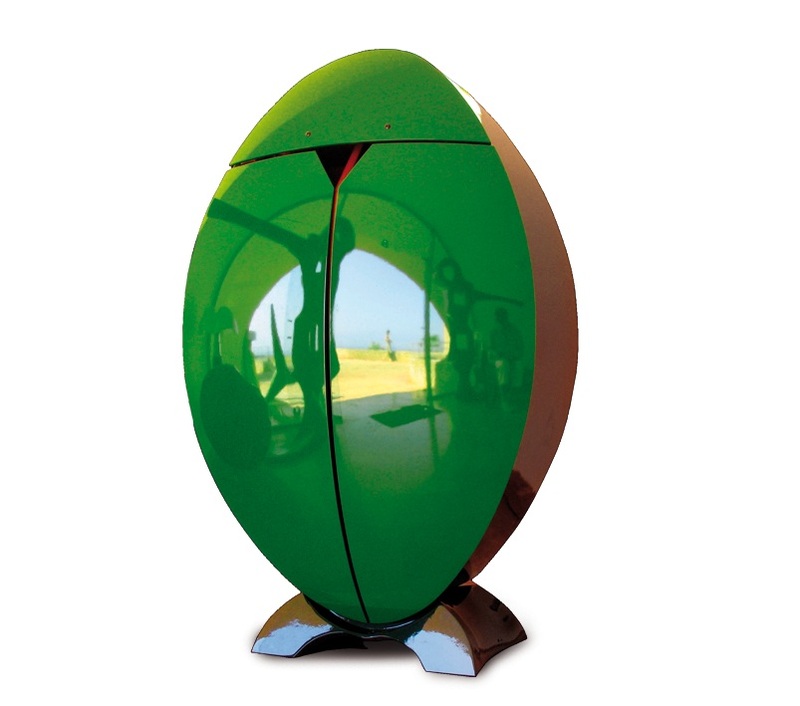 The design and the brilliance of the iridescent green reflections make it perfect for decorating a living area. It features interior LED lighting that can be adjusted with a remote control. Small swivel wheels allow the piece to be moved easily. Special Rodrigo Design hinges make opening and closing the doors particularly dynamic. This hinge system is paired with a motorized automatic opening mechanism, which can be activated by remote control or with a light touch. See the full Scarabée series gallery.